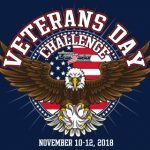 The USSSA Veterans Day Challenge Tournament is held in Las Vegas, Nevada Nov 10 – 12 and Team BLE will be entering teams in the 12U, 13U and 14U Divisions. This BLE event will include pre-tournament workouts in Las Vegas prior to the Challenge being held from Saturday, November 10 – Monday, November 12th (four games guaranteed). The Total event will go from Thursday, November 8th through the Monday, November 12th. 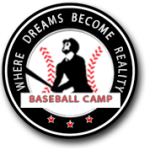 Coaches will include former Canadian Olympic team coach and Major League Scout Marty Lehn, five time World Series Champion and former MLB catcher and coach Bob Didier, 12 year major league pitcher and World Series winner Albie Lopez and Blue Jays Scout team head coach Eddie Marin. Special Guest Mike Davis (World Series champion with LA Dodgers) will also join the instructional team. Cost of event: $650.00cdn + GST.